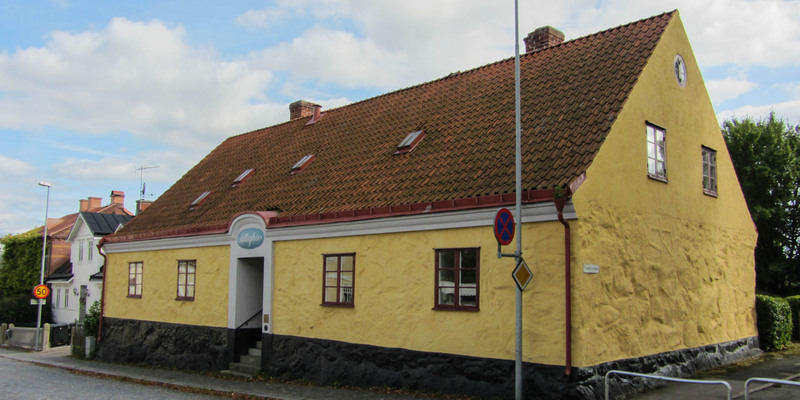 Gamla Fattighuset is a yellow painted house with a red tile roof in the center of Sölvesborg. It was once the first and only poorhouse of the city. 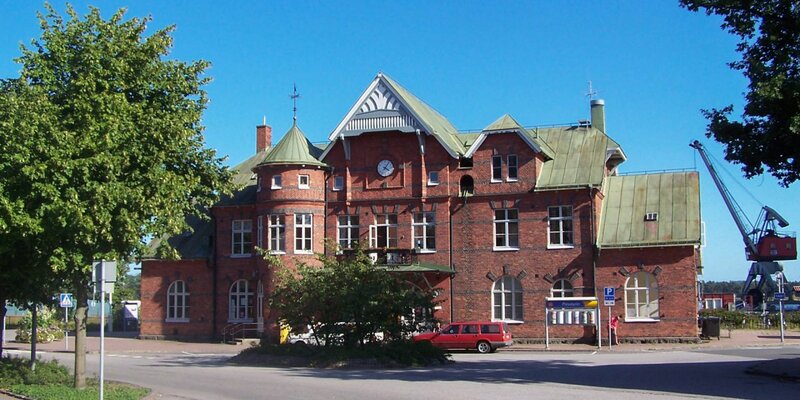 The one and a half-storey building was completed in 1821 and consists of rough fieldstones. 6 rooms, 2 kitchens and a vestibule were the dwelling for destitute and homeless citizens. 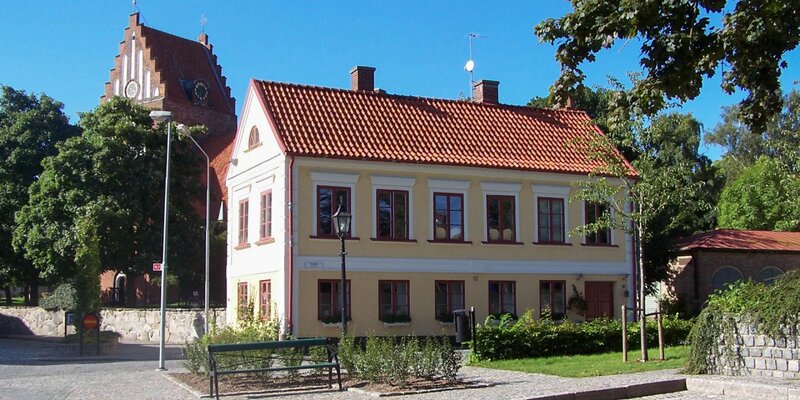 Since 1940, the building is used by the archaeological society Sölvesborg as a museum for their collection. The former poorhouse is a listed building since 1996. The whole building is in a very good condition. The carpentry work of the interior, as well as tile stoves and cooking stoves are from the period when the house was built. 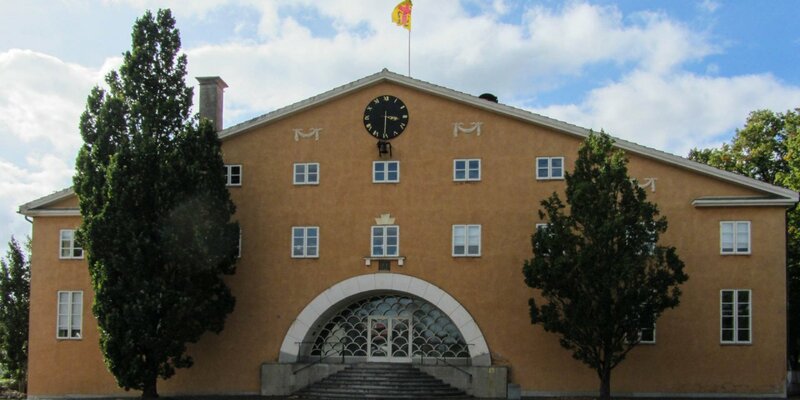 There was a great need for a poorhouse after two-thirds of that population Sölvesborgs became homeless because of the great fire of 1801. However, because of missing financial resources the construction of the poorhouse only became possible by a royal grant in 1819. The largest group of residents in the mid-19th century were widows with children, followed by unmarried older women, the mentally ill and orphans. The house was often crowded and the kitchens were used as additional bedrooms. The interior of the rooms was very spartanic and consisted generally only from the little that people brought, when they moved in. Often it was just a bed or a table with a chair and a few clothes. And even these few personal possessions were mostly in the hands of the poor relief fund as the residents often spent the rest of their lives in the poorhouse and had to bequeath their property poor to it. In return, completely penniless residents were given the bare minimum of furniture and clothes.